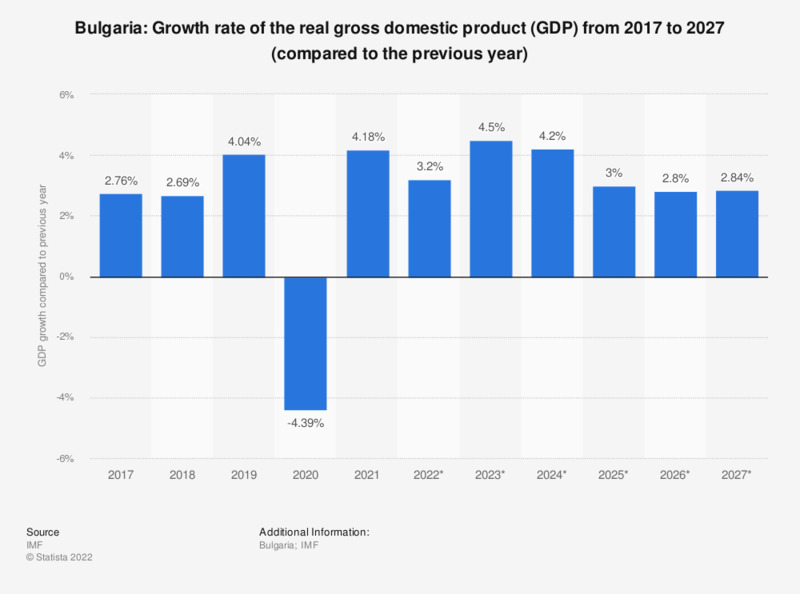 The statistic shows the growth in real GDP in Bulgaria from 2014 to 2018, with projections up until 2024. In 2018, Bulgaria's real gross domestic product grew by around 3.2 percent compared to the previous year. Everything On "Economic Outlook Bulgaria" in One Document: Edited and Divided into Handy Chapters. Including Detailed References. Statistics on "Economic Outlook Bulgaria"